Spigot rings are used to ensure that an alloy wheel is centred correctly on a hub of a vehicle. This is very important to ensure that your alloy wheels are safe and secure. We manufacture transit Wheel Adapters to your specification. This allows you to put your desired alloys on your transit van. Our Hub Centric adapters are CNC turned, and made from quality and durability aluminum. They are bored for an exact fit to ensure no vibration or movement when fitted to the cars hub. Please see examples of wheel spacers below. (TYPE A) Spacers fit between the wheel and hub, and may require longer wheel bolts (ordered separately). (TYPE B) spacers bolt to the hub with wheel bolts (included) and provide new threaded holes for the existing wheel bolts. (TYPE B) spacers bolt to the hub with wheel bolts (included) and provide new threaded holes (STEEL INSERTS) for the existing wheel bolts. (TYPE C) spacers bolt to the hub with existing wheel studs/nuts (included). Wheel is bolted to new wheel studs, which are pushed into spacers. (TYPE D) spacers bolt to the hub with special bolts (included) and provide new threaded holes for the existing wheel bolts. Car Hubs with 12×1.5 / 14×1.5 internal threads only!!!!!!!!!!!!! (TYPE E) spacers bolt to the hub with special bolts and a special offset steel plug (included) and provide new threaded holes for the existing wheel bolts. 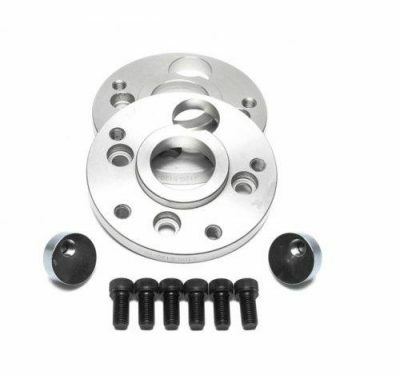 Car Hubs with 12×1.5 internal threads only!!!!!!!!!!!!! With this type of spacers we can combine different pcd’s, such as 4 to 5, and 3 to 4 etc. 4×100 to 5×120 is possible.